Sierra Madre, CA (February 13, 2018) - Andy Bencosme, Managing Broker at CENTURY 21 Village Realty in Sierra Madre recently presented the annual sales production awards to the office’s top sales producers. The annual awards breakfast was held at The Only Place in Town Restaurant in Sierra Madre. Sierra Madre, CA (August 1, 2017) - Century 21 Village Realty is pleased to announced that Century 21 Real Estate LLC recently recognized Nazee Rix & Jackie Adaimy, as top producers nationwide when it honored them with its coveted Pacesetter Award which recognizes Production in the first half of 2017. Sierra Madre, CA (July 4, 2017) - The Fourth of July parade in Sierra Madre is an annual tradition for the community and for Century 21 Village Realty. Even with the long weekend this year and the exodus of people going out of town to beat the heat, the agents at this Sierra Madre real estate office came in to continue their 31 year tradition. Agents and their families came in early to prepare bags of popcorn and hundreds of balloons to give away to local parade goers. Sierra Madre, CA (June 27, 2017) - Junk removal and hauling company, Junk King has signed a long-term lease agreement in Whittier and have tripled their warehouse space. When they started they had one truck and now have over 4 trucks to haul your junk away. They are expanding from their current Duarte location. The Duarte location will continue to serve customers in the East San Gabriel Valley and communities along the foothills including Burbank, Pasadena and Glendale. The new and larger Whittier location will handle all customers south of the 60 Freeway and West of the 605 into the Los Angeles area. Sierra Madre, CA (April 11, 2017) -- Andy Bencosme, Managing Broker of Century 21 Village Realty in Sierra Madre, recently congratulated the three top producing agents and Team for the first quarter of 2017. The top agents are Nazee Rix, Jackie Adaimy and Nora Manoukian. The announcement was made at the office’s weekly sales and marketing meeting. Sierra Madre, CA (March 7th, 2017) -- Andy Bencosme, Managing Broker at Century 21 Village Realty in Sierra Madre recently presented the annual sales production awards to the office’s top sales producers. The annual awards breakfast was held at The Only Place in Town Restaurant in Sierra Madre. Sierra Madre, CA (February 10th, 2016) -- Andy Bencosme, managing broker at Century 21 Village Realty in Sierra Madre recently presented the annual sales production awards to the office’s top sales producers. The annual awards breakfast was held at The Only Place in Town Restaurant in Sierra Madre. Sierra Madre, CA (February 5th, 2016) -- Andy Bencosme, managing broker at Century 21 Village Realty in Sierra Madre, recently welcomed back veteran realtor Julie Bencosme as the latest agent to join the firm. Sierra Madre, CA (January 20th, 2016) -- Sylvia Ramos with Century 21 Village Realty has been awarded the Accredited Buyer’s Representation (ABR) designation by the Real Estate Buyer’s Agent Council (REBAC) of the National Association of Realtors (NAR). SIERRA MADRE, CA (July 8th, 2015) -- Century 21 Village Realty in Sierra Madre was one of the few real estate offices open on July 4th. This is the 29th year that C21 Village has participated in the annual Sierra Madre Parade and this year the office gave 700 hundred bags of popcorn and 1,000 balloons to all of the parade watchers and participants. SIERRA MADRE, CA (June 23rd, 2015) -- Andy Bencosme, Managing Broker of Century 21 Village in Sierra Madre, recently welcomed Sylvia Ramos to his Sierra Madre office. The announcement was made at the office’s weekly marketing and sales meeting. SIERRA MADRE, CA (February 10, 2015) Andy Bencosme, Managing Broker at Century 21 Village Realty in Sierra Madre, recently presented the annual sales production awards to the office’s top sales producers. (July 22, 2014) Eighth annual real estate ranking published in conjunction with The Wall Street Journal Andy Bencosme, Managing Broker of CENTURY 21 Village Realty, announced today that REALTOR Nazee Rix has made the REAL Trends 2014 “Top Thousand” list of America’s top 1000 real estate sales professionals and teams for Individual Sales Professionals — Sales volume. REAL Trends/The Wall Street Journal Top Thousand is an annual national awards ranking sponsored by the two respected publications. Designees are recognized as the top one half of one percent of the approximate one million licensed REALTORS® nationwide. July 10, 2014 - CENTURY 21 Village Realty in Sierra Madre was one of the few real estate offices open on July fourth. This is the 28th year that Village has participated in the annual Sierra Madre Parade and this year the office gave 700 hundred bags of popcorn and 1000 balloons to all of the parade watchers and participants. June 26, 2014 -- CENTURY 21 Recognizes Nazee Rix As the #1 Agent of CENTURY 21′s Coastal/Valley/Inland Region Nazee Rix, a REALTOR with CENTURY 21 Village Realty, was recently named the #1 agent of the CENTURY 21 System’s top producing sales associates in CENTURY 21 System’s Coastal/Valley/Inland region at a sales rally in Sierra Madre on June 17, 2014. Rix was ranked #1 for sales production among the region’s top producers. The Coastal/Valley/Inland Region covers much of southern California, stretching from Bakersfield down to the San Gabriel Valley and all the way to the Beach areas of Long Beach. Her sales production for 2013 also ranked her #33 in the entire nation for CENTURY 21. June 25, 2014 -- Andy Bencosme, Managing Broker of CENTURY 21 Village in Sierra Madre recently welcomed Ted Rudolph to his Sierra Madre office. The announcement was made at the office’s weekly marketing and sales meeting. 3/14/2014 -- Andy Bencosme, Managing Broker at CENTURY 21 Village Realty in Sierra Madre recently presented the annual sales production awards to the office’s top sales producers. The annual awards breakfast was held at The Only Place in Town Restaurant in Sierra Madre. 2/19/2014 -- Stonehurst Manor is on the market. Dr. Ivan Misner and his wife Beth Misner have decided to relocate to Texas after more than a decade in the exclusive Padua estates situated in North Claremont, CA. He is the Founder and Chairman of BNI, the world’s largest business networking organization. BNI was founded in 1985 and has over 6590 chapters throughout every populated continent in the world. 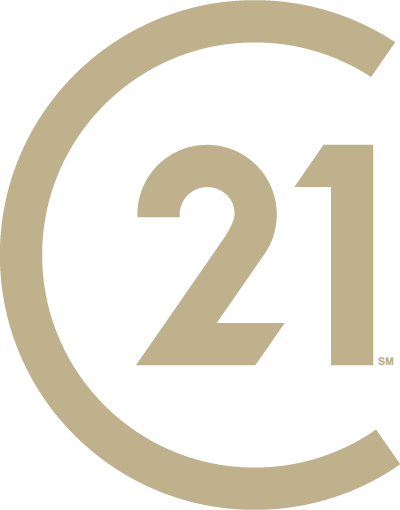 8/22/2013 -- CENTURY 21 Village Realty today announced that Century 21 Real Estate LLC recently recognized Nazee Rix, Emily Duggan, Nathalie Marles & Jackie Adaimy with its Pacesetter Award which recognizes Production in the 1st half of 2013. 7/18/2013 -- Andy Bencosme, Managing Broker of CENTURY 21 Village Realty in Sierra Madre announced that his office will be supporting the Foothill Unity Center’s Back to School Drive 2013. Anyone who would like to donate new school supplies to low income kids can drop off donations at the CENTURY 21 Village Realty office in Sierra Madre. 7/10/2013 -- CENTURY 21 Village Realty in Sierra Madre was one of the few real estate offices open on July fourth. This is the 27th year that Village has participated in the annual Sierra Madre Parade and this year the office gave 700 hundred bags of popcorn and 1000 balloons to all of the parade watchers and participants. 2/28/2013 -- Andy Bencosme, Managing Broker at CENTURY 21 Village Realty in Sierra Madre recently presented the annual sales production awards to the office’s top sales producers. The annual awards breakfast was held at Wistaria Restaurant in Sierra Madre. 11/7/2012 -- Andy Bencosme, Managing Broker of CENTURY 21 Village Realty in Sierra Madre recently congratulated Mike Lepore for his sales production in October. The announcement was made at the weekly sales and marketing meeting. 10/31/2012 -- Andy Bencosme, Managing Broker at CENTURY 21 Village Realty in Sierra Madre recently announced that the Sierra Madre Wine & Jazz Walk was very successful again, now in its 7th year. 08/23/2012 -- CENTURY 21 Village Realty has announced that Century 21 Real Estate LLC recently recognized Emily Duggan. Nazee Rix, Nathalie Marles & Julie Muttavangkul with its Pacesetter Award which recognizes Production in 1st half of 2012. 07/30/2012 -- REAL ESTATE BROKERS HELP WITH SHORT SALE: Roy Blume, left, and Irene Truong, of Blume-Truong Real Estate Group in Sierra Madre, stand in front of a Hesperia home where they were finally able to help the owner with a short sale after squatters lived illegally at the home for more than a year.